Happy! 節約生活 in アメリカ: 7-Eleven: Small Slurpee Drink Tomorrow 11 am -7 pm! 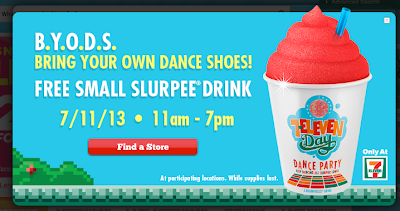 7-Eleven: Small Slurpee Drink Tomorrow 11 am -7 pm!